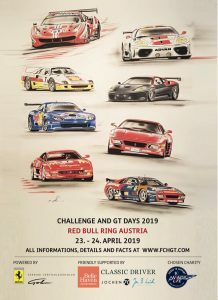 The first Club Competizioni GT meeting closed today at the Mugello circuit, with over a dozen of the most representative Ferrari GT racing cars of the last 30 years on track in a non-competitive event. The Prancing Horse, paying attention to the needs and demands of its customers, presented this new activity at the last Finali Mondiali in Monza, publicly unveiling it at Autosport International in Birmingham. The aim is to bring some of the most iconic models of the last 30 years of racing back on track. 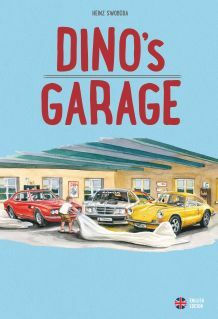 This new programme is designed for customers who like to take to the track and exploit their car to its full potential, without any test sessions lasting just a few minutes or dangerous races that are too short. At Mugello, Club Competizioni GT staged the first rounds of a five-event calendar that will stop off at some of the most beautiful circuits in the world such as Indianapolis, Fuji, Vallelunga and, indeed, Mugello. Twelve cars. Among the cars on the Tuscan track, the two examples of the 488 GT3 that took the pole position in the 24 Hours of Daytona in 2017 and 2018 stand out. In 2017, Alessandro Pier Guidi was the fastest (1:47.049) in the GTD class at the wheel of the Spirit of Race model participating at Mugello. Alessandro Balzan finished just 18 thousandths of a second behind, also in a 488 GT3. In 2018, Daniel Serra took pole in the GTD class 453 thousandths of a second ahead of Miguel Molina in the 488 GT3 of Risi Competizione. The Ferrari-owned track with its ups and downs also saw several examples of the 360 GT, F430 GT2, 458 Italia GT and GT3, as well as some 488 GT3s. Gala dinner. The first Club Competizioni GT event was made even more special by a gala dinner held in the evocative setting of the Stibbert Museum in Florence. The Museum, one of the most interesting in terms of the quantity and quality of the objects it houses and for the most part displays, has collections of armour from around the world. This particular exhibition theme naturally led to an evening for customer drivers entitled “Night of the knights”. Hospitality and official drivers. 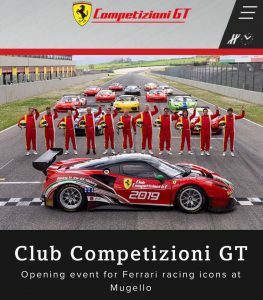 Club Competizioni GT opens the doors of prestigious circuits to its members, complementing their track experience with top class hospitality and exclusive services. Technical assistance with the tyres is always available on the track, as are Ferrari’s official Competizioni GT drivers, professionals who compete throughout the year in the main world championships and who are ready to assist customers with advice and guidance on how to extract the maximum performance from their cars. Eligible cars. 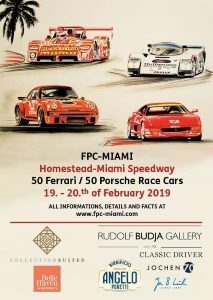 Twelve Ferrari models are eligible to join Club Competizioni GT, ranging from the F40 Competizione of 1989 to the 488 GTEs and GT3s currently available to Ferrari’s racing customers. In addition to the basic equipment provided by club membership, which includes a custom clothing kit and a set of tyres for each round, there are also special on demand services such as exclusive sessions with a professional driver, car transport, customised logistics, and the option of a tailored menu in hospitality. Next events. Club Competizioni GT will pay a visit to the legendary Indianapolis circuit on 28 and 29 July, before travelling to Japan and the Fuji International Speedway on 28 and 29 August. The last two events will take place in Italy, at Vallelunga on 5 and 6 September, and again at Mugello, from 22 to 27 October, as part of the Finali Mondiali.